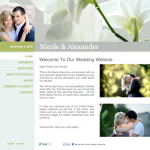 Creation of a wedding website is a hugely popular trend nowadays. 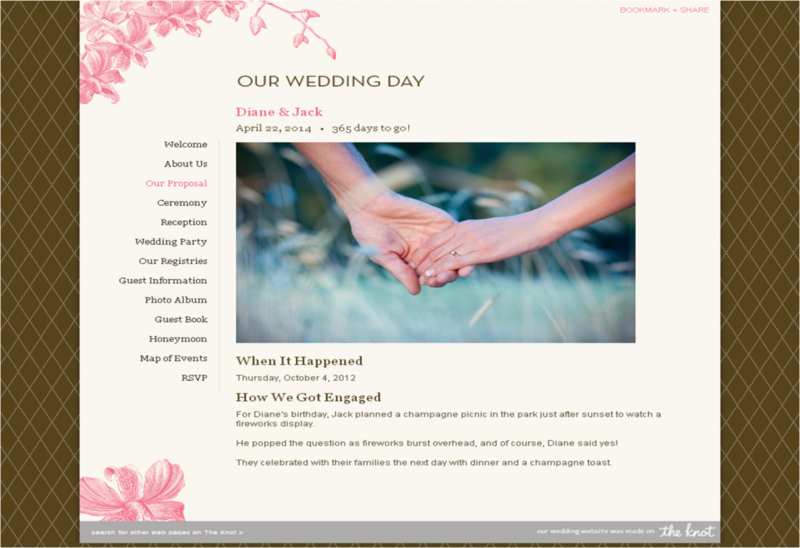 Though according to some traditional couples, brides or grooms this is just a tech fad, a personal wedding website has many benefits too. You don’t believe it? Here are some of them. 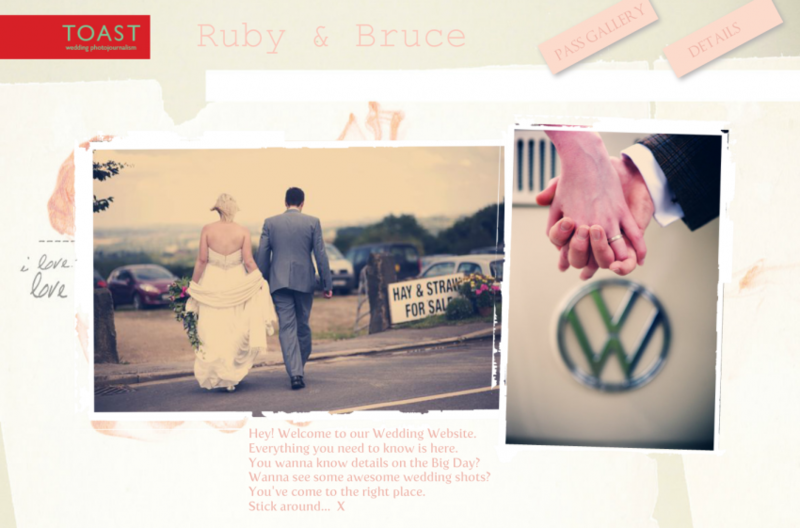 You can upload your numerous photos on your wedding website which can be viewed by your friends from anywhere anytime. They need not come to your home to watch the wedding albums and other photos and get bored. Let’s face it, how much ever it is interesting to watch someone’s wedding album at the beginning of it, after some time people get exhausted sitting in one place and you may not even realize it, as they show that they are having a great time listening to your story of each photo. You see, your story behind each photo may be of a lot of interest to you, but it need not interest others, at least not after watching almost 50 photos, with more or less the same story. But if you upload the same photos on your website, people can watch them and even read your story if they are interested, whenever they have time! Your website being digital, you need not spend on printing of photos, invites, instructions, and other stationery related to wedding. People can even access your site on the go on their mobile devices and know the necessary details anytime they want. Obviously – because usage of paper is eliminated. When you print your invites, instruction details, save-the-dates, RSVP etc people keep them until your big day. After that all those papers and the valuable trees cut to create them become mere trash. When you put all the details on your website, this harm to the environment is eliminated. There may be some guests who cannot access your website, just because they are computer illiterate, or any other reason. For such guests you can get a limited number of invites and other stationery printed. So, at least you can minimize the harm to the environment. Your guests can ask you any questions and you can answer them. This is particularly helpful in updating your gift registry. 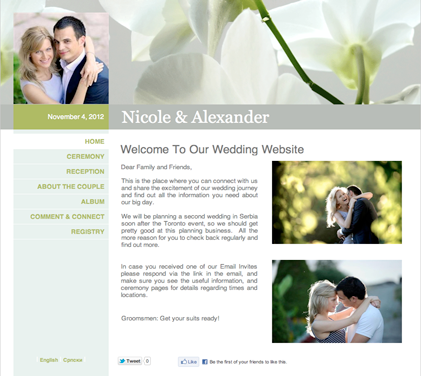 In most of the cases, you are given a direct link to your registry info, which becomes easy for your guests. Other big benefit of easy communication through your website is if there is any abrupt change in the plans, you can immediately notify your guests about it. You can also update your guests with weather info. You can even have the facility of getting notified when your guests read your notice. If some of them haven’t yet, you can then give them a call. 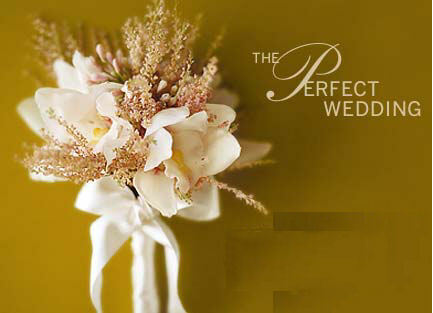 Nowadays international marriages are quite popular with the world coming close with development in technology. People of different cultures and languages come together and exchange hearts. This is really a fabulous thing. But what about the families of each party? They don’t necessarily understand each other’s language and sometimes not even an international language like English. In such a scenario, a multilingual website is of tremendous use, which can be easily accessed and understood by people on both sides. 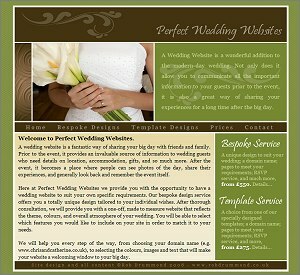 TwoWed.com creates fantastic wedding websites for you in more than 20 languages, with premium designer templates, interactive invites, and integrated maps, social media and photo album! Grab the opportunity of 30-day free trial and an unlimited use for a very affordable price.